Skip your regular greasy, heavy biryani this February, and instead, give a shot to this super light and delicious chicken qiunoa biryani at Foodgasm. What do you do when chicken biryani is your bae but you can’t be tempted to look at it because you’re on a diet? You obviously don’t give up on biryani, and instead you find a replacement a.k.a. chicken quinoa biryani. This one at Foodgasm is the best health food you can lay your eyes on. 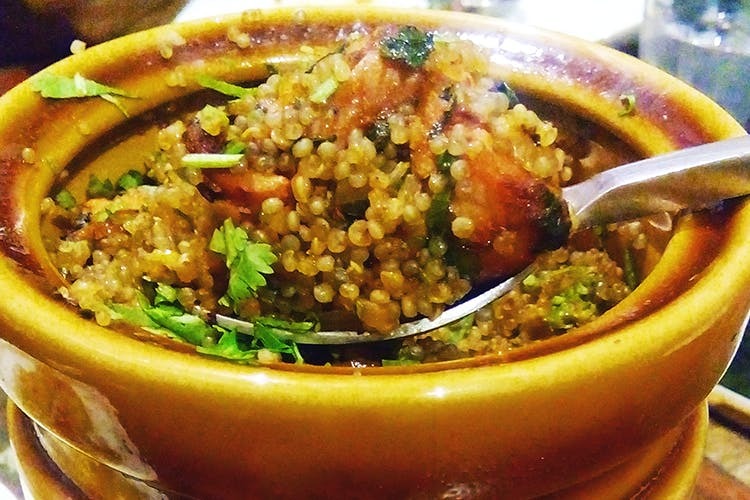 Perfectly cooked quinoa gives you the guilt free pleasures of eating a biryani. Priced at INR 360, this is a must-have with a great blend of tikka masala that’s yet not affecting your healthy eating regime. To kick-start a healthy year, Foodgasm is a great place to try out.